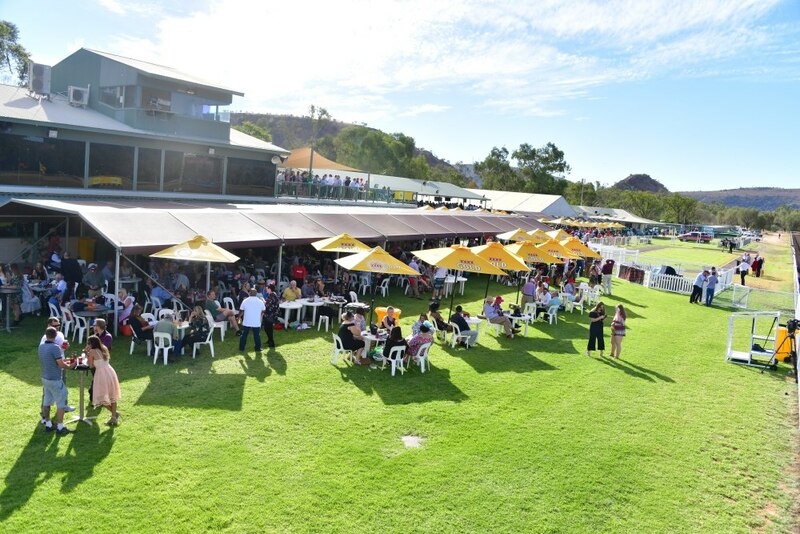 Voted one of Australia's most scenic and picturesque racecourses, located at the foothills of the beautiful MacDonnell Ranges, it boasts views that will leave you inspired. 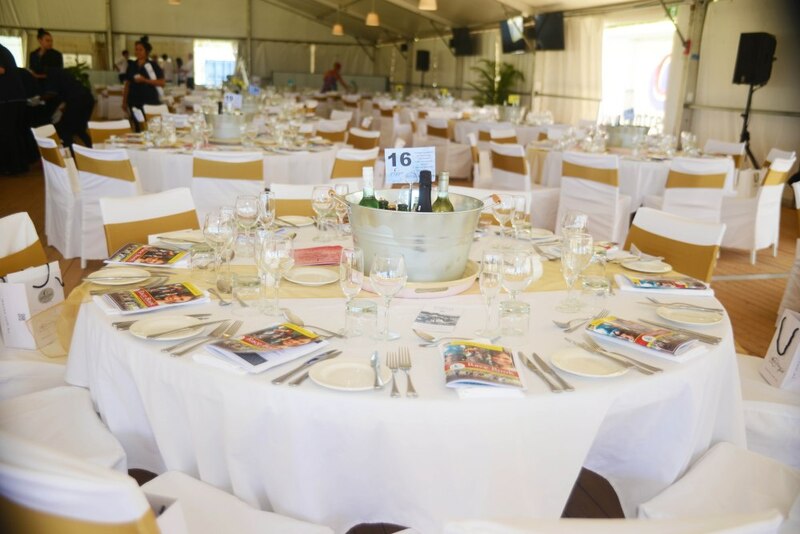 Ladbrokes Pioneer Park Race Course provides top-class facilities for members and the general public alike including the Princess Amelia Room with Cafe, Guineas Bar, Members Lounge with external balcony, Dave Fogarty Pavilion, and the Periduki Marquee. 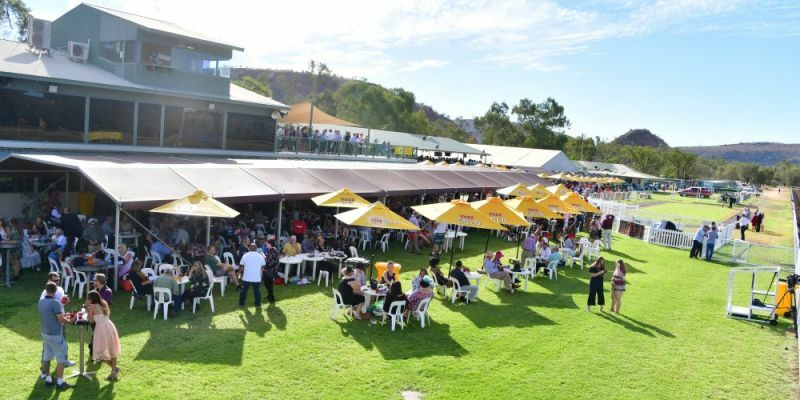 The Alice Springs Turf Club hosts great entertainment for the younger race-goers including a new state of the art playground and jumping castle ... and, then there's the horse racing! 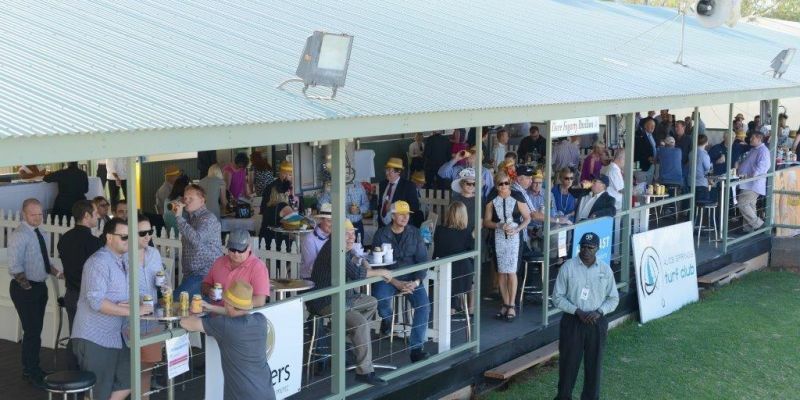 With racing 34 days of the year, broadcast internationally on Sky Racing Channel, the Alice Springs Turf Club's popularity is increasing and there is always something for everyone to enjoy. Check out the next race date and come and enjoy all the best that Racing in the Red Centre has to offer. The Alice Springs Turf Club recognises the foundation of racing established by our forefathers. It is through the influence of these people that "The Sport of (the Cattle) Kings" in Central Australia evolved. The first racetrack in the Alice was on the Emily plain on the East Side of town near where the Federal sports club was later established. In 1878 racing shifted to the Claypan site, west of MacDonnell siding. A track also existed in the heart of town, near where the police station now stands. The Mount Nancy Racecourse had been the home for, firstly the Alice Springs Race Club, and later the Central Australian Racing Club for nearly fifty years. Up until 1927, the name MacDonnell Range and Stuart Turf Club was used, but the name of the Club was apparently changed to the Alice Springs Race Club for about 4 or 5 years, before the Central Australian Racing Club was adopted some time between 1932 and 1935. The name reverted back to the Alice Springs Turf Club in 1986. Racing moved to Pioneer Park on the South Stuart Highway in 1977, following the closure of the Mount Nancy Racecourse, which was on the North side of town, approximately where Head Street is now situated. The Mount Nancy Racecourse was established in 1928, after a Royal Dedication of land was made for public recreation. The last race meeting at the Mount Nancy Racecourse was on 18 June 1977, with the last Race being won by a horse called Abeson trained by Gary Curnow and ridden by Tommy Gibbs. The first race meeting at Pioneer Park, just south of Heavitree Gap, was on Saturday 25 June 1977. The first race of the day was won by a horse called Cobbs, trained by Dudley McIntyre and ridden by Max Chapman. The horse was owned by Merry and Eric Petrick. The Petricks have retired interstate. The feature race of the day was the Centralian Motors Pioneer Park Cup, won by Special Call, ridden by Peter Beaney and owned and trained by Arch von Rysingen. The new racecourse, including track, buildings and facilities cost approximately $200,000, of which $75,000 was received from the Government as compensation for the Club having to move from the Mount Nancy site to make way for a new residential sub-division. The original building constructed in 1977, initially housed jockey's rooms, steward's rooms, secretary's office, telex and radio room, all carpeted at a cost of $80,000. Public toilets and food service area were also provided. At the opening of the course, only 16 holding stalls were provided for horses on Race Days, adjacent to the saddling enclosure. In 1977 the first female Bookmaker in the Territory, Bernadette Joyner received her licence. Bernadette is still a Member of the Alice Springs Turf Club. In February 1979, the Central Australian Race Club became an incorporated body. In April 1979, a $15,000 carpeted and air-conditioned Members Bar and Lounge was added to the facility at Pioneer Park, and was named the Princess Amelia Bar. Princess Amelia was trained by Tom Parker at the Mt Nancy Racecourse and scored in excess of 27 wins. The Club celebrated its Centenary in 1981. The name Pioneer Park was chosen to commemorate all the pioneers who contributed to horse racing in Alice from its early beginnings. The Club originally intended to name the new Racecourse after one of the early racing pioneers, but it was impossible to select one that was more prominent than any other. It is believed that one popular choice was for Baden Park, named after Baden Bloomfield. The name Baden Bloomfield is now associated with the Jockeys Premiership, with the Inaugural Baden Bloomfield Medal awarded in 1997. District Bred racing gave way to professional thoroughbred racing in 1981, and prize money levels have continued to grow. The track at Pioneer Park was totally re-aligned and resurfaced in 1993/94 at a cost of $400,000. In 1999 the Club constructed The Pavilion, an open sided venue for functions and general race day use. The year 2000 saw the construction of a new members facility. This facility comprises a second floor, contains modern furniture and is fully carpeted with air-conditioning. The Guineas Bar (Public Bar) was rebuilt and also contains reversed cycle air conditioning and modern furniture. The room previously used as the Members Bar is now a Committee Room and is furnished with a board table and comfortable lounge suites. A new Judges Box has also been constructed and sits above. The Members facility was constructed at a cost of approximately $700,000 including furniture and fittings. The new facility was officially opened on Saturday 24 June 2000 by The Hon. Loraine Braham, MLA Minister for Central Australia in time to coincide with the 23rd Anniversary of Racing at Pioneer Park. 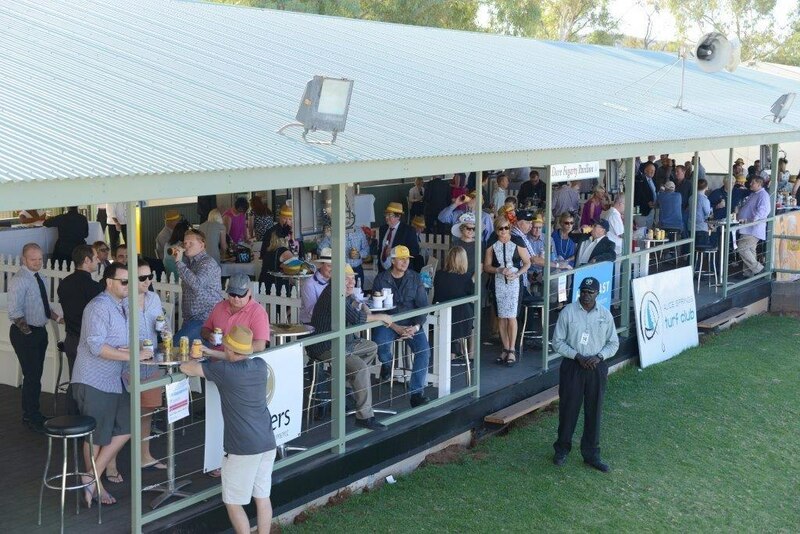 With the addition of the new Members facility, plus The Pavilion the Alice Springs Turf Club is well equipped to cater for an increase in Members well into the 21st Century. 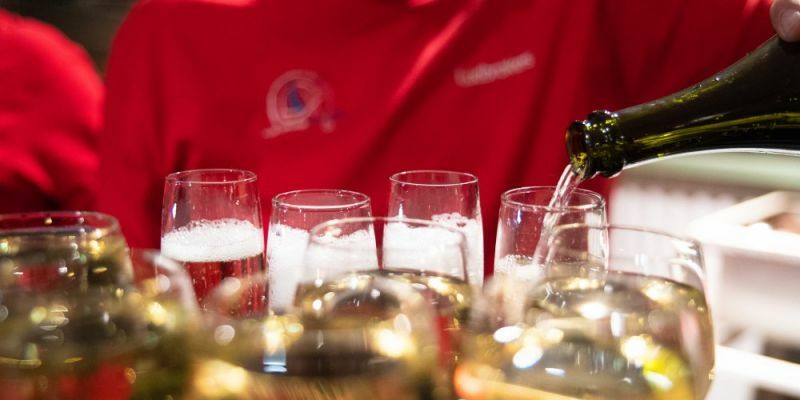 From race day corporate events to all of life’s special celebrations, we have a hospitality package to suit. 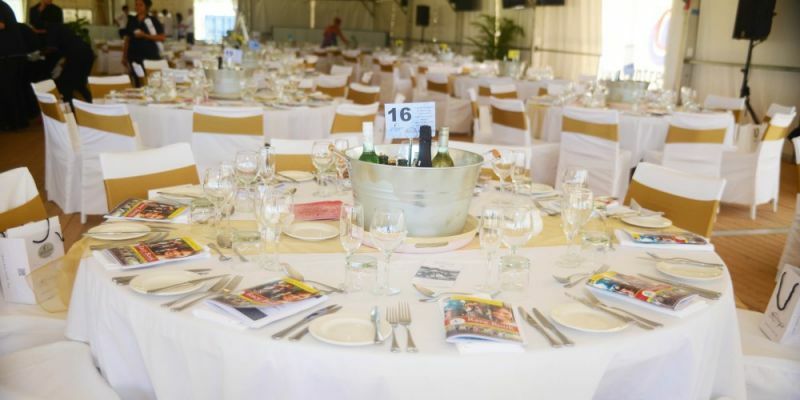 Whether you’re planning a wedding or a corporate family day, a birthday party or a fundraiser, the Alice Springs Turf Club has a venue, catering and drinks packages to help make your event memorable for all your guests. 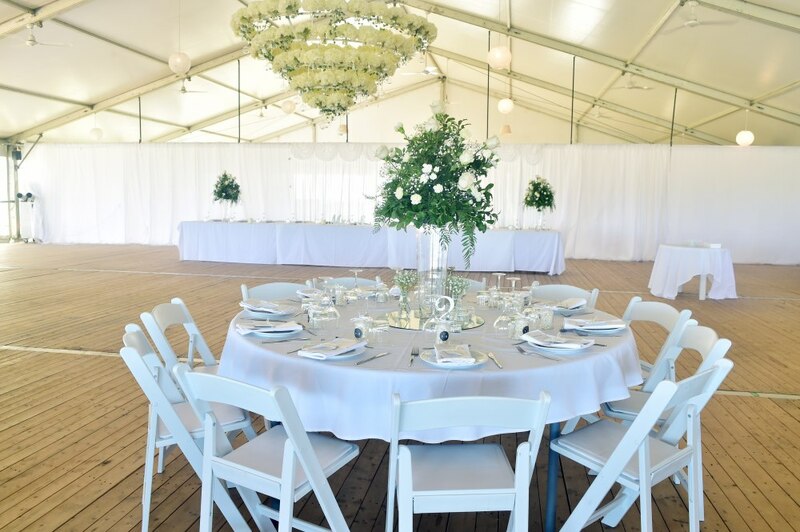 We can help you set the stage for a wonderful occasion, both on race days and throughout the year. Download our Events & Venue Information Brochure for more information. Need some extra supplies for your event? We have a wide range of equipment for hire that can take your event to the next level. 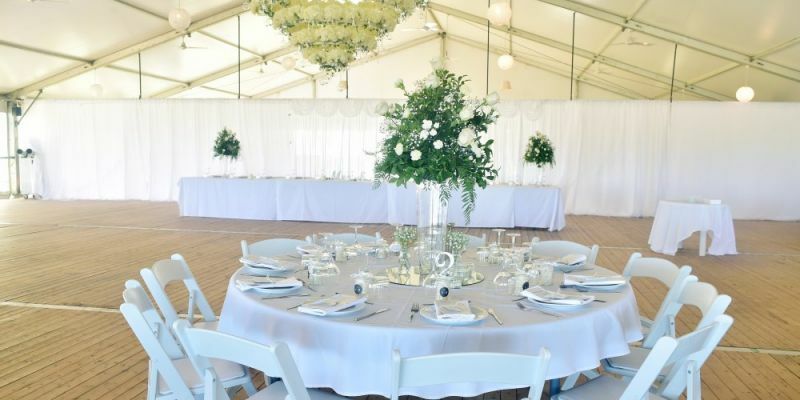 From cutlery and crockery through to tables and linens and everything in between, the Alice Springs Turf Club hires equipment for events both on-site and off. Download our Equipment Hire and Price List for more details. To be nominated, a person must be proposed and seconded by a current Alice Springs Turf Club Member. All applications are presented before the Committee of the Alice Springs Turf Club for approval. A non-transferable Adult Membership card. Free admission to the racecourse and use of the Members' Area and Balcony on race days including the Ladbrokes Alice Springs Cup Carnival. The ability to purchase extra tickets to the Members’ Stand at the advertised Members’ Stand prices. A newsletter keeping you up-to-date on all things racing. Invitations to exclusive Members' events and all ASTC events at special Members' rates. 10% discount on all Food and Beverage purchased on course on race days. Discounted prices on hospitality packages. Voting right at the Committee's Annual General Meeting. Special discounted rates through sponsors. Reciprocal rights to over 30 Race Clubs. A Country Membership provides members who live over 150km away from the Turf Club to still have an active part in Territory racing. A Country Member is entitled to the same privileges as an Adult Member. Voting right at the Committee’s Annual General Meeting. The Alice Springs Turf Club is pleased to offer access to its race meetings at Ladbrokes Pioneer Park Racecourse and its Members’ Stand to Reciprocal Race Club Members as follows. Free admission to the cardholder and a guest to Ladbrokes Pioneer Park Racecourse and the Members Stand. Free admission to the racecourse for the cardholder on presentation of his/her members card. Free admission to the Members’ Stand for the cardholder, by visiting the Secretary’s office on course. The Reciprocal Member must show his/her members card as identification when collecting the reciprocal ticket. The Reciprocal Member must make arrangements with the Club prior to their arrival, requesting the tickets required. Members are advised to check reciprocal privileges with the clubs, prior to travelling to interstate meetings, as they may vary between each Club and Carnival. 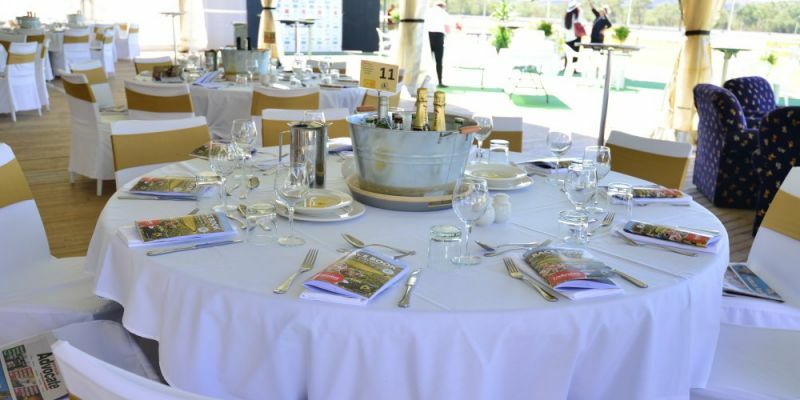 Club 50 is the Alice Springs Turf Club’s brand-new program for businesses to sponsor a race and enjoy a day at the races. 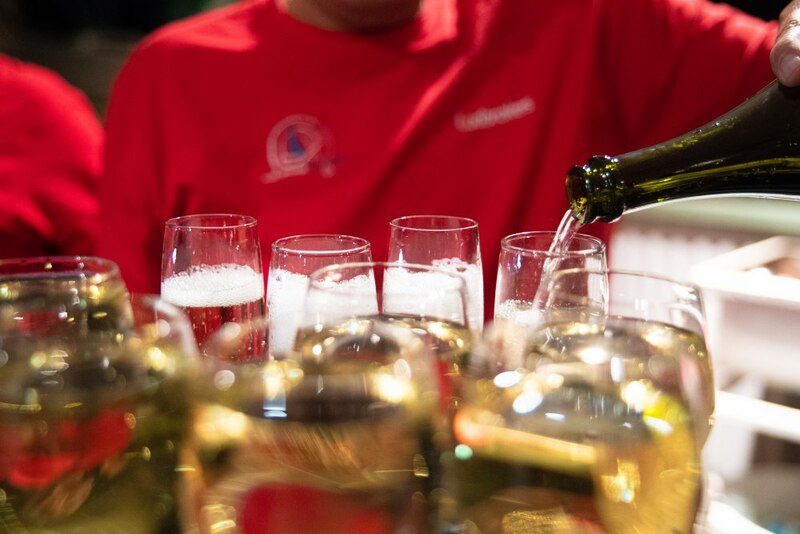 By joining the exclusive Club 50, you will receive a race name in 2019 plus a reserved table for eight with arrival drinks and finger food in the Members Lounge on the day of your race. 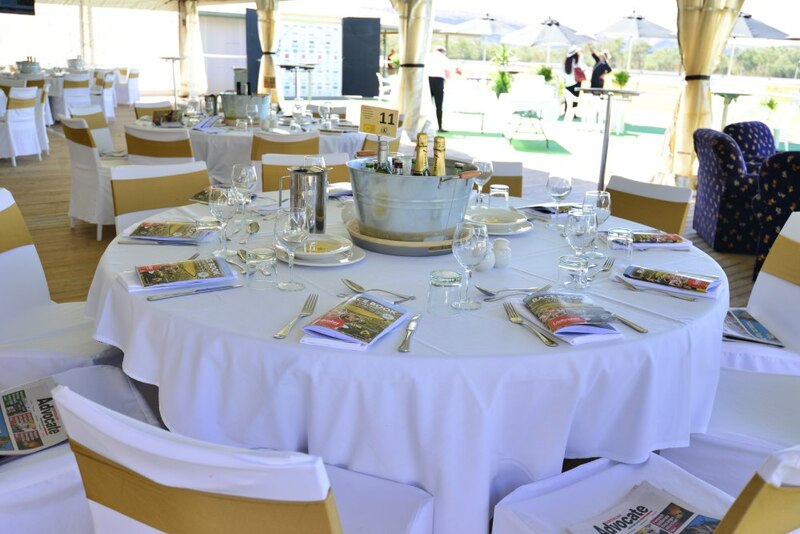 Club 50 Members also enjoy a full-page ad in the racebook on your race day, two tickets to the 2019 Ladbrokes Alice Springs Cup Carnival Launch event, two 2019 Honorary Memberships, discounted tickets to all Carnival events and the chance to win the Club 50 Grand Prize or Second Prize. Also, one Second Prize winner will be drawn to receive their Club 50 Membership cost refunded. Club 50 Membership is limited, so get in quick! The first 10 Club 50 Members get a bonus race name, arrival drinks and finger foods for 8 people.